MAXIMUM Solar Panels Perth WA Rebate (Subsidy) 2019 update. Ranging from $1915 in a 3.3kW solar system up to $3815 in a 6.6kW solar system the solar panels Perth WA rebate in 2019 indeed isn’t a fixed rebate (subsidy) by any means. Daily it is subject to change, as the listed subsidy is based on an STC (Small Technology Certificate) valuation. Fully installed 3kW – 6.6kW Solar system prices and more. Mix & match alternative inverter technology. The latest PSW fully installed price list which consists of the Solar Panels Perth WA Rebate (Subsidy) 2019 as a point of sale discount. A must view before buying solar. Basically, your new solar energy system is eligible for [X] amount of certificates based on its ability to offset carbon emissions over the next 12-years. That’s right, we are producing clean, green energy here, not just energy savings. Therefore the government has rewarded you with a bunch of certificates (STC’s) which you’ll most likely never get to touch. You do, however, get to trade these very rewarding certificates with big polluters who must purchase these green certificates (STC’s) to offset their carbon emissions. The complexities of such are often too much for the average individual (including solar company) to handle, so it’s easier to release such certificates as a simple point of sale discount based at an agreed market rate. At the time of writing $35 was considered a good/stable rate factoring room for market fluctuations. The last thing you want is a sneaky solar company coming back to you after the installation has been completed because the STC value has plummeted overnight. 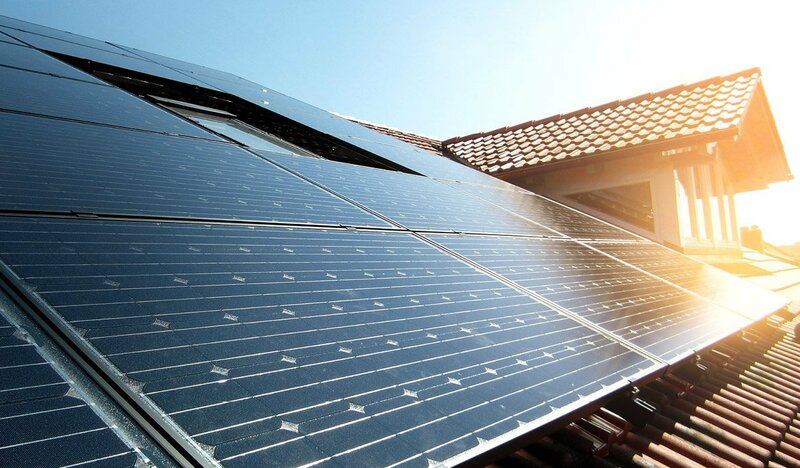 Believe it or not, particular solar companies have clawback clauses hidden into the T&C’s which state that you will make up the difference should there be a reduced variation in the STC value from the time of signing to the time of installation. An STC value, e.g. $35. An STC quantity, e.g. 109 certificates (as in 6.6kW). An STC total amount you’ve been credited as a point of sale discount, e.g. $3815 ($35 x 109 certificates). Essentially, if the Solar Panels Perth WA Rebate (Subsidy) 2019 isn’t clear and broken down, then neither is your solar provider. Note: the above example is based on a 6.5kW system for 108 STC’s utilising 20 of the 2018 InterSolar Europe award-winning 325W QCells QPeak G5 Duo solar panels. (Total Solar Panel Watts x 1.382, Odd number I know) x the current STC multiplier of 12-years / 1000. The resulting number is the maximum STC’s you are entitled to. Using the very popular 6.6kW system as example: (6600 x 1.382) x 12 / 1000 = 109. Now that we’ve determined you are entitled to, which is 109 STC’s multiply this amount by the current market valuation of $35. 109 STC’s x $35 = $3815. For most, I understand that in a modern world full of scroll and fast information that calculations are little too complicated for many over what is required. You merely need the round about figure ensuring what you’ve been quoted isn’t ripping you off. If you’ve made it this far down the page then of course you do! To be honest, I’d take my hat off to you if I wore one, as I’m unsure if I’d even make it this far. Nevertheless, you are here and what a captivated individual you are. Well done and rewarded you shall be. Skip the sales hype and get the best value guaranteed (with beautiful transparency) for whatever system size you seek. Select systems via Perth’s largest online solar superstore in Perth Solar Warehouse & PSW Energy, a trusted CEC Accredited Solar Retailer with Perth’s most satisfied solar customers!